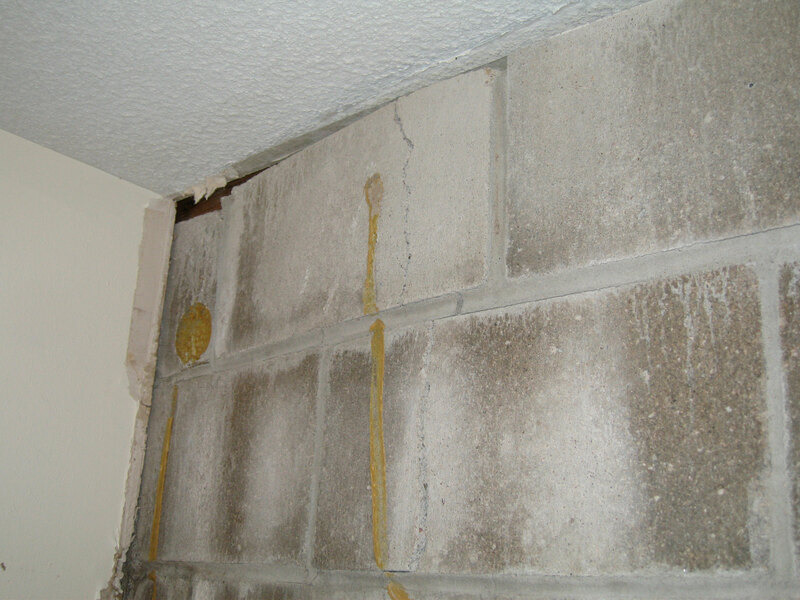 "since having our basement waterproofed after hurricane irene, our basement has been 100% dry since. we are extremely pleased and..."
since having our basement waterproofed after hurricane irene, our basement has been 100% dry since. we are extremely pleased and hope to finish our basement and make a usable living area and will absolutely consider using your company. "Very satisfied with all the service I received from your company, from my initial visit from Kenneth to my email updates to my..."
Very satisfied with all the service I received from your company, from my initial visit from Kenneth to my email updates to my basement work by Juan and his crew. "Ken, the Sales person was GREAT, as was Octavio the Mechaning"
"Quality 1st is the best!" Quality 1st is the best! Ken is a graduate of Rider University where he was a 4 year athlete and earned a degree in business administration. He has an extensive understanding of the basement waterproofing and crawl space repair industry. After being introduced to the unique and innovative products offered by Basement Systems, he quickly realized he needed to be a part of the team at Quality 1st Basement Systems. Ken is a true professional and brings a focused, intelligent approach to each job he is involved with. Quality 1st saw what an asset Kenneth would be to the company with his experience and eagerness to help people, and brought him on board. He began with the company originally as in installer which he did for 2 years. He then was Service Technician for 1 year, and was quickly promoted to Systems Design Specialist. He is a trusted and valued member of the team and upholds the standards of the company. Ken has been thoroughly trained and has earned the highly esteemed title "Certified Waterproofing Professional," through the Basement Systems International Waterproofing Contractor Network. Ken's previous experience has taught him excellent troubleshooting skills which have benefited his many customers. His high standards of ethics and business practices engender trust in him, his work, and his recommendations. He is confident that any of his customers would recommend him and his work without hesitation. Kenneth enjoys meeting with homeowners and helping them solve their basement water problems, enabling them to get more out of their homes. In his spare time you may find him coaching baseball, giving pitching lessons, or taking a nice long ride on his motorcycle. My call to Quality 1st Basement Systems was handled courteously. My inspector was on time and listened to all my questions, he was very professional! I found the price fair. I had been thinking about waterproofing my basement for 3 months before calling Quality 1st Basement Systems. Overall I am pleased and satisfied with the work and waterproofing systems installed. My inspector did a great job at explaining all products and services before my installation process. I chose to go with Quality 1st because of the truth behind their system and the waterproofing book that was sent to me previously before the appointment. The installation team lead by Juan Garcia did an excellent job. I was reccomended by a co-worker and I am very satisfied. The installation team was hard working, very neat, and accomodating. My salesman put no pressure on me. After thinking of fixing my sinking slab for a year, I am now very satisified with the job done. The salesman and his presentation were professional. I had been thinking aout fixing my basement water problems for about 5 years. Quality 1st was an excellent choice to get the job done. Ken provided me with great customer service and helped me from beginning to end. I am very satisfied with the work completed by Quality 1st Basements. My inspector Ken was very knowledgeable and friendly. He was never pushy, but instead very cool and easy to talk to. I thought that the installation would take 3-4 people, all it took was Jesus Alvarez. He even patched the front step with the extra mortar. Just had Quality 1st Basement come out and fix our basement and they did a fantastic job! They were on time and the neatest company I have ever come to my home to do work. If you have a water issue in your basement give these guys a call! My previous attempt to resolve my water problem failed, so my neighbors recommended I go to Quality 1st. The salesman was excellent, the crew was very professional, and now my basement is dry and finally fixed. I am very happy with the way Quality 1st waterproofed my basement. I was initially recommended to Quality 1st through my contractor and after seeing the positive feedback from several clients I decided to choose Quality 1st. My inspector Ken Peare was excellent! He provided me with a free estimate and helped me find the right products and solutions I needed for my water problem. The installation team knew what they were doing, they were very knowledgeable. Wet Basement Woes in Perrineville - Solved! Basement Finishing in Mahwah, New Jersey. A homeowner in Glouchester was suffering with slab settlement around her pool, which made the patio uneven and dangerous for residents. She called Quality 1st Basement Systems for a solution. The team injected the problem areas with PolyLevel, which is made up of high-density polymers. PolyLevel raises sinking concrete back to its original position quickly, efficiently, and with minimal surface disruption. Now this homeowner's pool patio is safe and looks as good as new! This patio in Mount Laurel, NJ was sinking. The slab was a huge trip hazard right in front of the house. Quality 1st Basement Systems injected PolyLevel underneath the slab, lifting it back up. Now it is lifted and much safer. A homeowner in Delran, New Jersey was experiencing moisture and high humidity in the crawl space and contacted Quality 1st for a solution. Our System Design Specialist inspected the crawl space and recommended an encapsulation system be installed to keep the moisture and humidity out of the crawl space. SilverGlo was installed on the crawl space walls to serve as a heat barrier and reflects heat back into the crawl space for ultimate energy savings. CleanSpace was installed on the crawl space walls and floors to hold back water vapor and humidity from entering the crawl space. CleanSpace is a durable, bright white liner that will not rip or tear making it perfect if the homeowners want to use their crawl space for storage. The slabs in this walkway had settled unevenly, creating a tripping hazard. PolyLevel uses high-density polymer injections to raise settling concrete back to its original position. Now this homeowner can rest easy knowing his restored walkway is no longer a hazard! Quality 1st Basement Systems fixed this leaky basement wall crack in Mount Holly, NJ with FlexiSpan. As the weather gets warmer, you will face rising humidity levels in your crawl space which causes mold growth and wood rot. This creates an unhealthy living space for your family and also compromises your crawl space insulation and floor joints. By encapsulating this crawl space, we were able to control the humidity levels and greatly improve the foundation, air quality, and your home's energy efficiency. Now this homeowner can also use his crawl space for storage. Quality 1st Basement Systems installed a crawl space encapsulation system in this Burlington County home. CleanSpace vapor barrier will prevent moisture from coming into the crawl space. Now the crawl space is dry and no longer has a musty odor. When the homeowner noticed vertical cracks in their basement wall they called Quality 1st to do the job. System Design Specialist, Ken Peare, did a full inspection of the basement to make sure that these cracks were the only cracks in the foundation of the home. Foreman, Melvin Cardoza, installed FlexiSpan into the cracks sealing them to prevent water from coming through. First bead of Sealant is placed inside the crack to stop crack leakage. A FlexiSpan Foam Drain Strip is then placed over as a second form of protection against water leakage through the first seal, followed by the permanent seal overlay. This homeowner in Pennington, NJ contacted Quality 1st Basement Systems because he had unwanted water entering the basement. The installation crew from Quality 1st Basement Systems installed a TripleSafe Sump Pump to rapidly pump out any water that might leak onto the floor of his basement. A SaniDry Air Dehumidifying System was installed to make the once damp air of this basement dry and comfortable. This homeowner does not have to stress about water pooling on the basement floor or breathing unhealthy air coming from the wet basement again. The front porch of this Greenwich, NJ family home had settled, creating a 5 inch gap between the siding and the concrete. The homeowners were very concerned since it happened rather quickly and so they wanted to get it fixed right away. System Design Specialist, Ken Peare, inspected the entire wrap around porch and measured almost 3 inches of settled concrete. He recommended PolyLevel to be injected underneath the slab, where it would expand and harden, raising it back to level. The homeowners were amazed that after 15 minutes of the job completion, they were able to use their porch. A homeowner in Stewartsville, New Jersey had their floors sloping towards the middle of their house and there was also water in their basement. The homeowner contacted Quality 1st for a free estimate and our System Design Specialist inspected the basement. SmartJacks were installed to help support the home and provide stability. SmartJacks are installed by attached steel support beams to the floor joists and a sturdy base at the floor. SmartJacks can easily be adjusted at any point if the home requires it. Now this home is supported and the homeowners do not have to worry about their home being unstable. Pittstown, NJ homeowner had a 14x14 sinking slab in the screened in porch area of the home. System Design Specialist, Ken Peare, inspected the entire porch and measured 3inch of settlement in total. Quality 1st Basement Systems was able to lift the slab with PolyLevel. The Q1 team drilled small penny size holes into the sinking slab and injected PolyLevel underneath. The PolyLevel solution hardens, raising the slab back to its orignal level. To stop this foundation from settling in Quakertown, NJ Quality 1st Basement Systems installed wall anchors. Wall anchors stabilize the foundation. A homeowner in New Egypt had been having issues with the crawl space as it had constant water damage over the years. The system design specialists recommended having CleanSpace along with a drainage mat to be installed. CleanSpace is a though linear that prevents water vapor and humidity from passing through ! A homeowner in New Egypt, NJ had previous water damage in their crawl space years ago and needed a permanent solution. Quality 1st installed the CleanSpace vapor barrier system to hold back the water vapor that may enter the crawl space. CleanSpace has anti-microbial protection called UltraFresh built right in, so no mold or mildew will grow on the CleanSpace. Drainage matting was also installed underneath the CleanSpace liner to create an air space through which water can flow over the concrete floor to the sump pump. This crawl space is transformed to a dry, usable space for the homeowner. Concrete is cold and porous which means that it was letting moisture and cold air into this crawl space. The cold air was causing cold winter drafts throughout the first floor of the home. Quality 1st Basement Systems installed a crawl space encapsulation system to seal off the space from the cold concrete floor. Under the CleanSpace crawl space encapsulation system lies SilverGlo crawl space insulation to further improve the temperature of the crawl space. This home is now healthier and warmer...and costs less to heat and cool! Most crawl spaces are damp and cool by nature since they are underground. This causes cold drafts in the winter and humid are in the summer. This homeowner noticed that the air in the crawl space seemed to be affecting the air in the rest of her home throughout the year. To treat the cold drafts, Quality 1st Basement Systems installed SilverGlo crawl space insulation. To treat the moisture, CleanSpace crawl space vapor barrier was installed. This homeowner in Clinton, NJ wanted waterproof basement floors that looked great. Quality 1st Basement Systems installed MillCreek basement floor panels, which look like wood but are made out of waterproof PVC. A concrete retaining wall in Montgomery, NJ was cracked and moving. Quality 1st Basement Systems installed wall anchors to stabilize and support the falling wall. 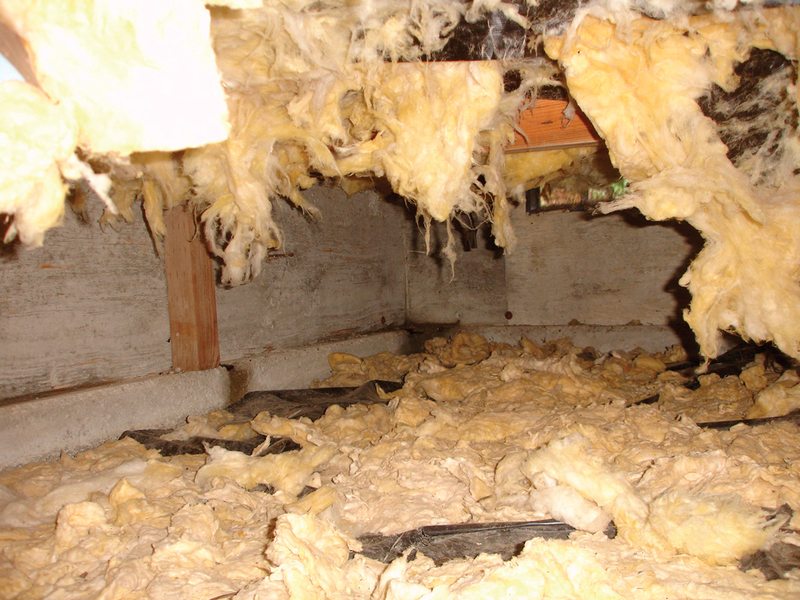 Encapsulation is not only good for the crawl space but for the home as well. By encapsulating you are sealing off the area from animals, water and water vapor along with mold, rotting and dirt. This will create better air quality in the crawl space which means better air quality in your home. 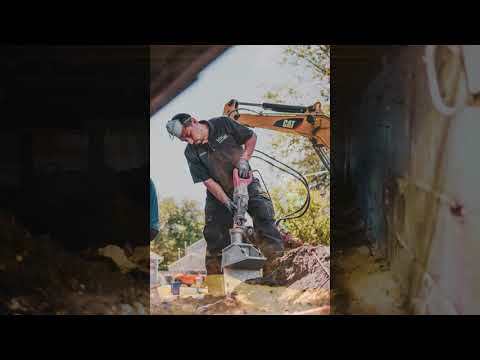 Keeping the air in your crawl space clean will create clean and healthy air for your family to breathe and that is exactly why this Montgomery family called Quality 1st Basement System to encapsulate their family's crawl space. When your crawl space is not encapsulated and insulated, cold air finds its way into your home through the crawl space area. Once inside, that air will begin to cool down the heat traveling through the duct vents. This will delay the process of warming up your home causing the heat to work harder then its suppose to, raising your heating bill as the months go on. Quality 1st was able to completely seal off this Montgomery crawl space using CleanSpace, SilveGlo, and TerraBlock so help keep the area dry and warm! Quality 1st Basement Systems replaced this old, rusty window with a SunHouse window well. Now plenty of beautiful sunlight comes into ths Hunterdon County basement!